I KNOW I KNOW, I AM BEHIND AGAIN. 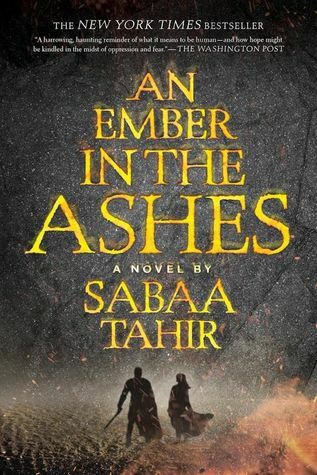 But guys, I finally devoured An Ember in the Ashes, and it was just as intense and epic as I hoped it would be. Don't worry, I've already ordered the sequel on Amazon and it will be arriving within the next two days. Thank goodness because I can't wait much longer to find out how this story continues. Not going to lie, the novel centers around a world not much different from many of the dystopian settings that frequently appear in YA novels. 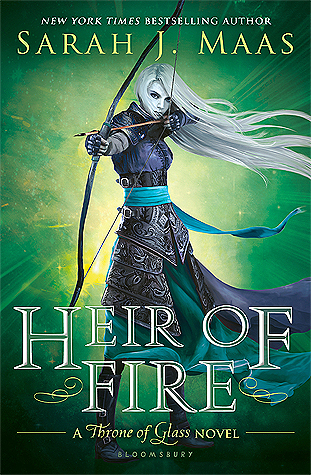 At first I worried that Tahir was going to steer the plot and setting down a fairly unoriginal path, but thankfully, she spiced things up with the inclusion of fantastical creatures and other unexpected elements. In the end, the novel is only somewhat tinged by The Hunger Games-esque dystopian trends. I was pleasantly surprised by what Tahir did with her world building. Almost all of my favorite novels have one thing in common: strong characters. Tahir does an excellent job of building believable, realistic characters. Sure, Elias might be a trained killer and Laia might be a rebel spy, but I came to care about both of them and their hopes and dreams. Every character became vivid in my imagination thanks to Tahir's descriptive writing. I adore books that keep me guessing. I truly had no idea where Tahir was steering the story or how some of these characters were going to survive life or death situations. By the time I reached the novel's climax, I was flipping pages at lightning speeds, desperate to see how everything turned out. Of course, Tahir doesn't tie this story up with a nice little bow. Be prepared to have the sequel on hand after you finish this one. So, if I loved An Ember in the Ashes as much as I say did, then why didn't I give it a full five stars? The main reason I didn't award the book a perfect score was the romance. I felt that the romantic interests/relationships were a little forced at times. "Oh, we're about to die in an extremely painful way? Let me think about the electricity between me, but oh wait, don't I like this other guy?" I exaggerate obviously, but I just wasn't buying all of the romance. Hopefully the sequel(s) will help me get on board with the romantic aspects of the story a little more. Overall, An Ember in the Ashes definitely didn't disappoint. I'm dying to find out what happens next, and if you haven't jumped on this bandwagon yet, it isn't too late! Join the rest of us in our praise for Tahir and her extraordinary story.